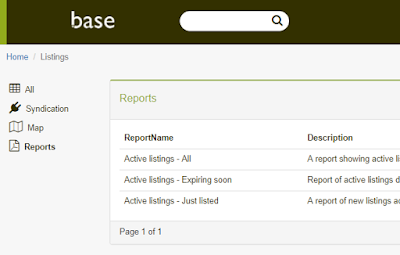 We've integrated a brand new report engine and will introduce various new listing and management reports in Base. Available today is 3 active listings reports (all, expiring soon and just listed) that include thumbnails of your listings. Simply click on a report to view and optionally download to PDF. It supports multiple listing agents while mandate statuses are colour coded. We will make some report sections interactive. On the active listings report you can for instance click on the listing ref # to open the listing in Base, or click on the address to open the Google Maps location. Handy if you perhaps have downloaded the PDF report to your tablet or phone. 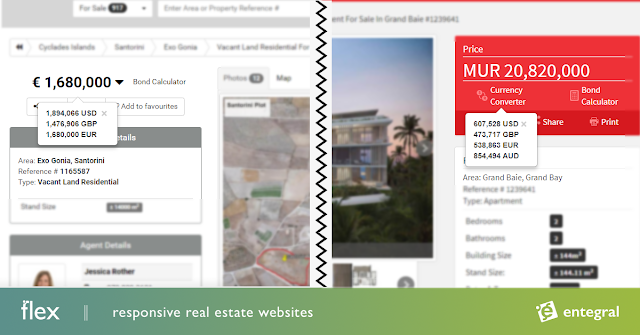 Base is mobile friendly so all your property and contact details are always a click away. 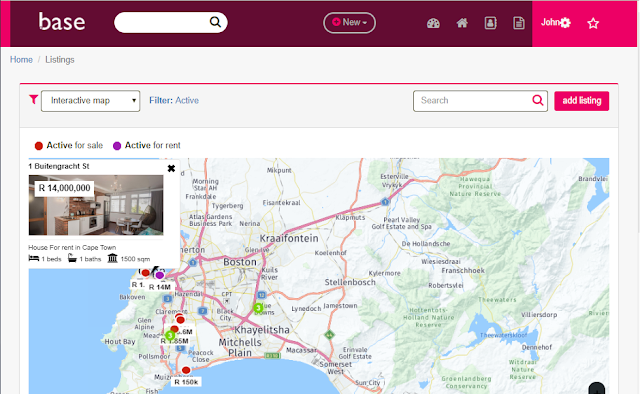 The interactive listing map launched last year is now out of Beta. We evaluated usage, cost and user feedback. The mapping tool will be included as part of the Base system going forward at no additional cost. As long as you geocode (map) your listings it will show up on the map. You can use filters to only show certain listings (e.g. by status or price range). You can now track referral agents on listings. Once you select an agent on a listing (through contacts), you can simply pick them as referral agent. New reports are now rolling out in Base. The 1st is an internal contact list report that is available under Settings / Users / Reports. It allows you to download the report in PDF and other formats. Naturally the new reports will also be available from your mobile devices, as Base is mobile friendly. New roof types added on listing features. The Flex real time currency convert will convert your listing price into popular currencies for visitors. If you have international listings, we will now also support currency conversion for these listings. The OMS and the new Base real estate management system, allows you to capture listings in any country. Base has further been extended to be used as listing system in any country, with configurable areas, listing, property types and more. Have a lot of photos on your listings? 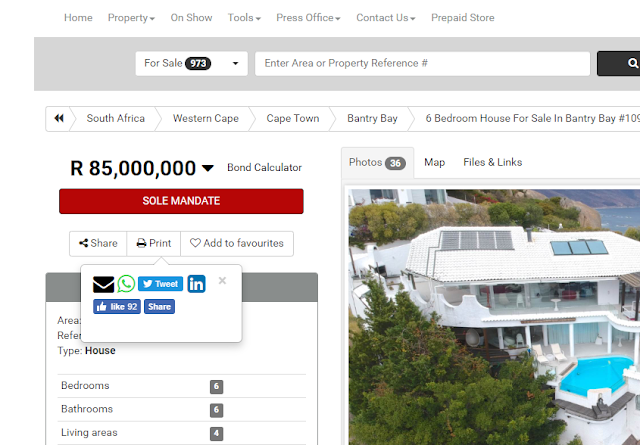 Use Base's the new zoom controls on the media tab of a listing to zoom out in order to show more photos on your screen's viewable area. You can now drag-and-drop photos easier. With Base you can upload an unlimited number of photos on listings. There is also no need to resize as the system will handle this. 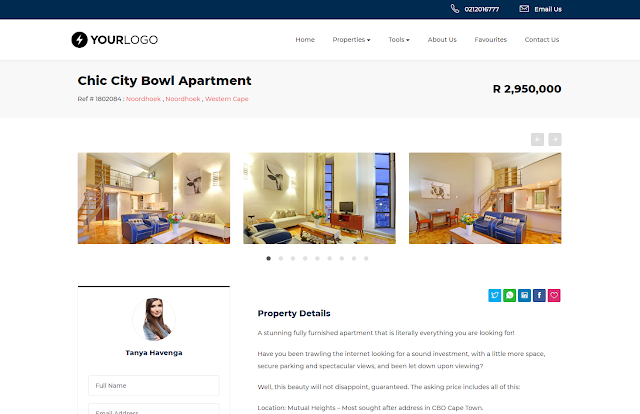 Have any files or links you want to add to your listing for display on your website? Base can do this too from the Media tab. 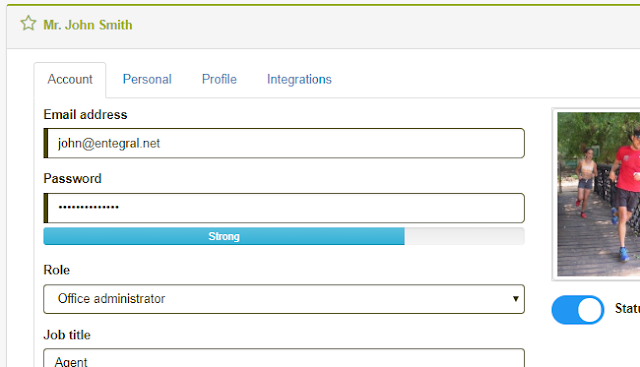 A new password strength meter in Base CRM provides a visual indication of how strong your Base password is. You need minimum 'strong' status in order to update your profile. We recommend a 'very strong' status by including capital, lower case, numeric and special characters. Under the 'new' menu dropdown, you can now choose from 'news' to add a new news article entry and 'activity' to record a new activity from any screen. This way you can for instance quickly schedule a meeting. If you have enabled our Google Apps integration, your calendar entry will sync with your Google calendar. 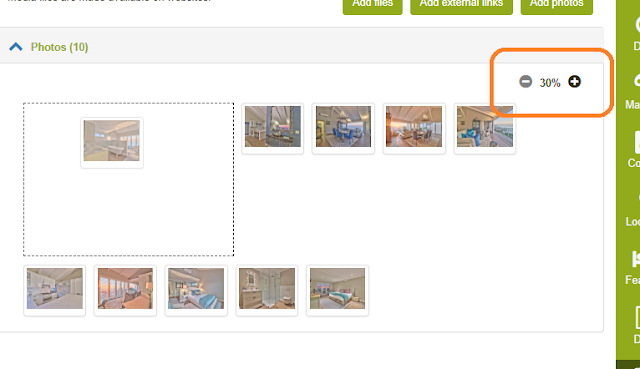 The SYNC API now allows for multiple on show entries for the Property24 interface. This allows you to schedule multiple future on show dates.